San Juan (AFP) - Puerto Rico's embattled governor said Monday that he will not put himself up for reelection, as the US Caribbean commonwealth struggles with huge debts and a massive outflow of residents. 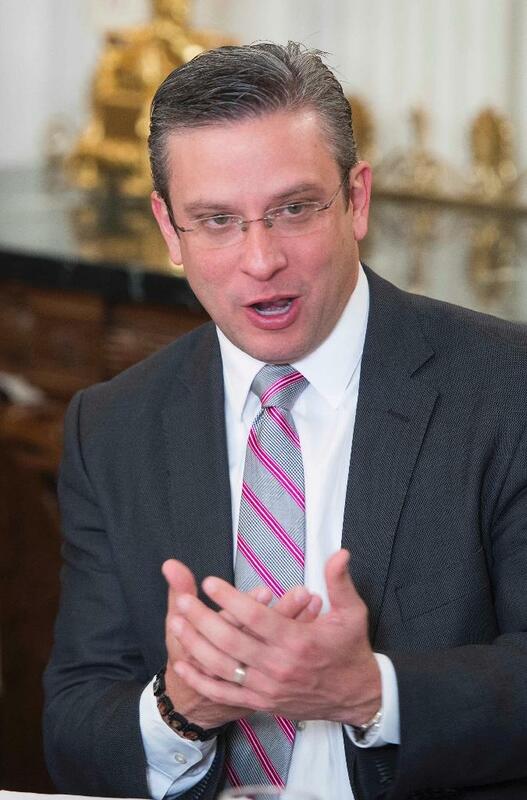 "I have decided to do the right thing for my people... even though I want to do it with all my heart, I am not going to seek reelection," Alejandro Garcia Padilla, 44, said in a televised speech. "The torch is more important than the runner," he added. "We have got to keep our recovery on track," said the PPD (Popular Democratic Party) leader, who has been governor since 2013. In mainland US politics, he is a Democratic Party member. Socked with unpayable debts of over $70 billion, just last week the governor asked the US Congress to pass a law that will allow Puerto Rico to declare bankruptcy, warning that the island faces a humanitarian disaster. More than 300,000 people have moved to the US mainland for jobs, further enfeebling the economy. The administration of President Barack Obama has repeatedly said it will not bail out Puerto Rico, but it has strongly supported bankruptcy legislation to allow an orderly debt restructuring under court supervision.